To cope with the booming population in Hong Kong, the government in the 1950s had set out to build satellite towns, which subsequently became known as “new towns” in the territory. Tsuen Wan and Kwai Chung (later Tsing Yi) were the earliest new towns that have been developed. 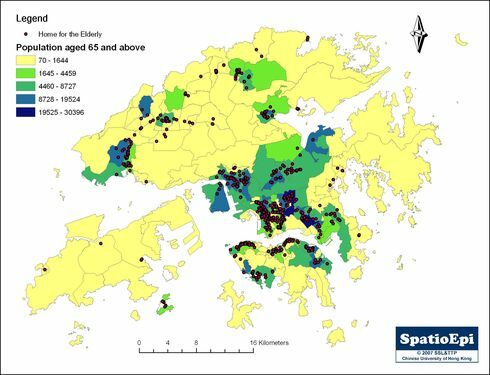 Sixty years on, they all face the same problem of population aging as with other districts in Hong Kong. 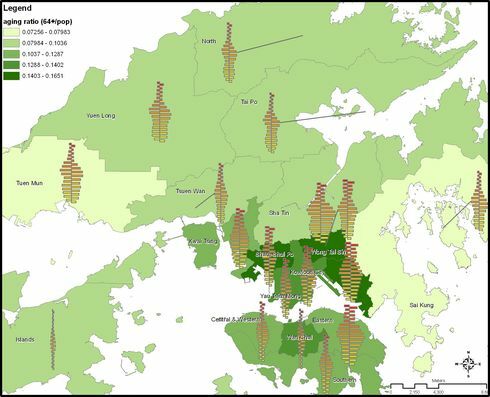 The two maps show the 2014 base estimation and 2020 projection of the population by tertiary planning unit (TPU), and the number and proportion of elderly population in the selected new towns (Tsuen Wan, Kwai Chung, Tsing Yi) and their neighbouring urban districts. 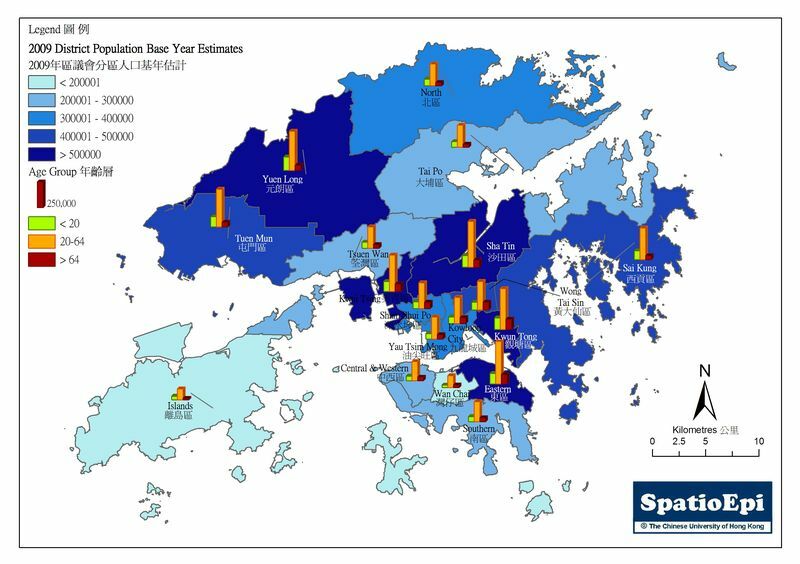 Minimal changes are anticipated in the overall population growth in new towns and districts alike, except Sham Shui Po where a 14% increase in the six-year period would occur. Obvious increases in the number and proportion of elderly people are anticipated. 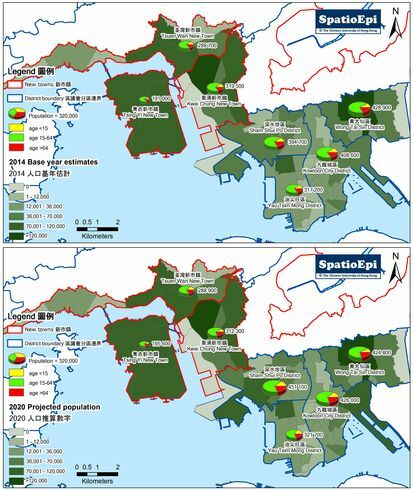 Of note is the higher proportional increase of elderly population in the new towns than the other urban districts. 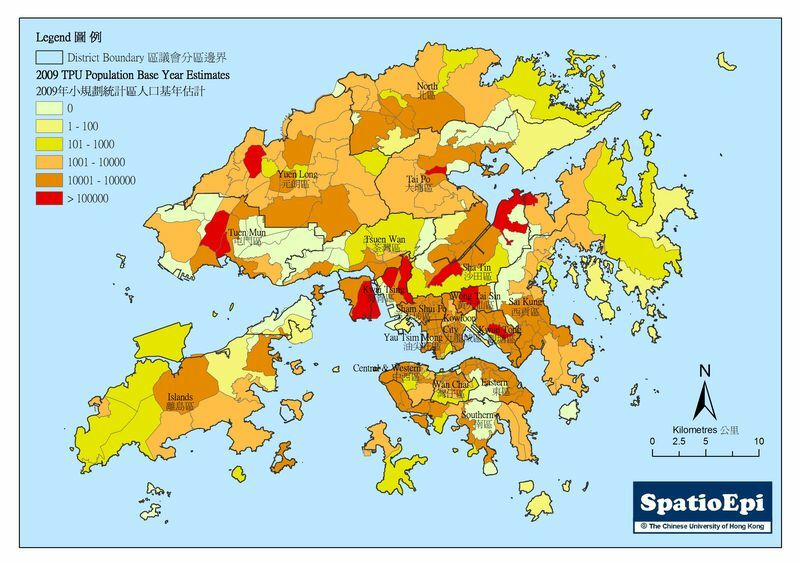 Specifically, Tsing Yi and Tsuen Wan are expected to give a 6-7% increase compared to the 2-4% rise for the nearby urban districts. Map data were obtained from the Planning Department, HKSAR.